I had been talking about July 11, 2015 for months. Back in April, I told my husband, out of the blue, that if Anthony Bourdain was ever to come to Atlanta, I would simply have to go. Since he was aware of my obsession with Bourdain, he simply agreed. As luck would have it, a couple of days later, my foodie dreamboat announced his North American tour, including an Atlanta date! I bought our tickets right away. Although my husband doesn’t have quite the same obsessive love for Bourdain, he definitely enjoys watching his shows too. Then, in June, my friend and co-worker Anays told me about the Atlanta Street Food Festival, taking place the same day as Bourdain’s show. Could I ask for a most fabulous day? Certainly not. So after very little sleep (I was too excited about my foodie day! ), I went to the Atlanta Street Food Festival with two preschool co-workers. We were there for about 3 hours although it felt a lot longer because of how hot it was (could anyone explain why this festival doesn’t take place in the fall??). Despite the heat, I was super pumped to try food from various food trucks. Choosing what to try was pure torture. 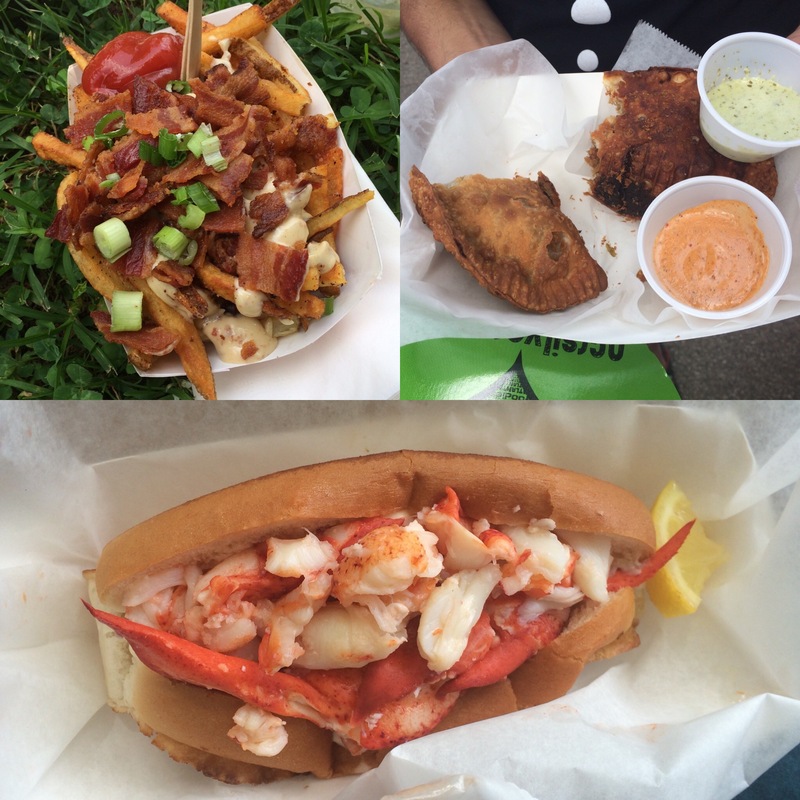 Lobster roll, from Cousins Maine Lobster …we had to wait in line for almost 2 hours! They were definitely the most popular truck and definitely deserved to win the “best truck” title! After the festival, I headed back home with a migraine (likely caused by heat exhaustion) and a sunburn, but still a good attitude. I took a short nap and got ready for our evening at the Fox Theatre. I had never been to that venue and quickly understood why everyone always praise its style. What a beautiful theater! 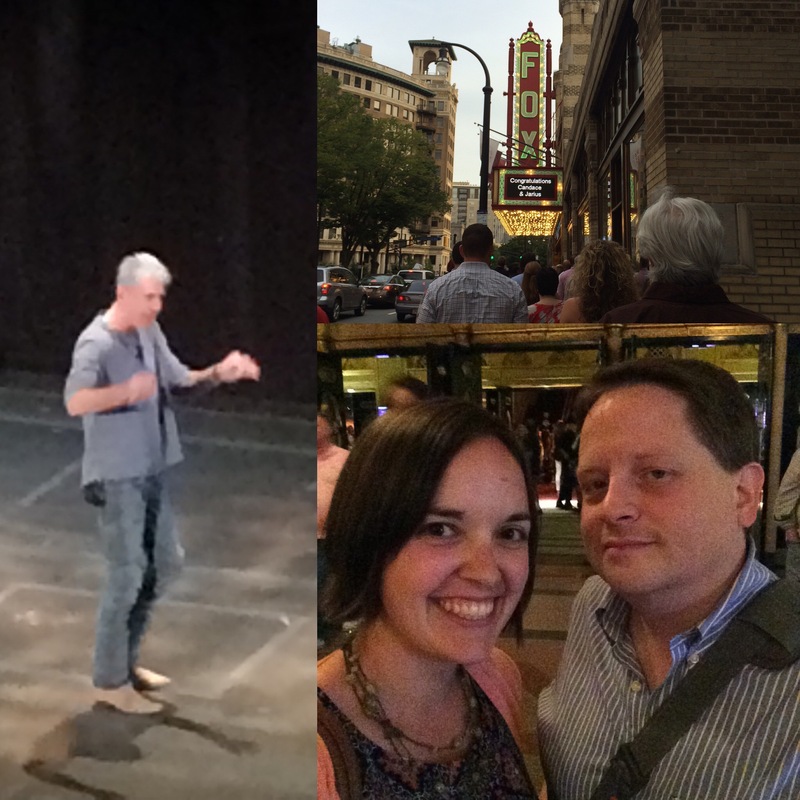 As expected, Anthony Bourdain was provocative, funny and foodie-licious (whatever that means…). Did I mention how much I love him? My dream to meet him after the show didn’t happen but I still had a wonderful evening. We ended the night with a delicious Cheesapalooza pizza from DaVinci Pizzeria.